As a high school student heading into a Classics degree, I’m always on the lookout for good textbooks and guides to help me in my studies of Latin, especially Latin epics such as The Aeneid, which features strongly in all Classics programs. 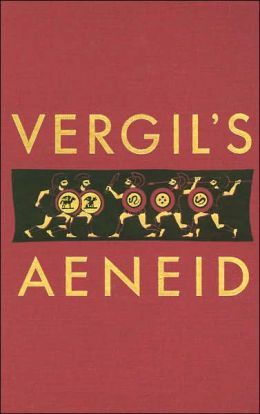 And I have found no better textbook on The Aeneid than Clyde Pharr’s Vergil’s Aeneid. This in-depth and streamlined textbook, complete with black-and-white illustrations and photographs, covers the first six books of the ancient Roman epic, presenting them in their original Latin — not a prose/poetry translation, not prose adaption, just hard, unaltered Latin verse. The textbook also features an eloquent preliminary informational chapter which provides historical, cultural, and mythological background for The Aeneid, and has a thick grammatical index at the back, with useful and handy-dandy sections on Latin grammar, poetical metrics, literary techniques, and vocabulary. One great thing that sets this textbook apart from others is that its vocabulary is not only indexed at the back, but new words are also included on each individual page as they are used for the first time, so you don’t have to spend all your studying hours thumbing through the index to find the words you’ve just discovered in the verse; you simply look at the bottom of the page, and they’re there, right where you need them to be. This certainly makes translating the verse easier and faster, especially for a student on a tight schedule. All in all, I’ve found this textbook to be one of the best for reading, translating, and understanding The Aeneid. I’ve used it through my Latin classes not only as a resource for homework and assignments, but also have enjoyed reading it after hours for personal growth and expansion. If you’re interested in Classics or looking to spruce up your Latin, definitely give this textbook a read.